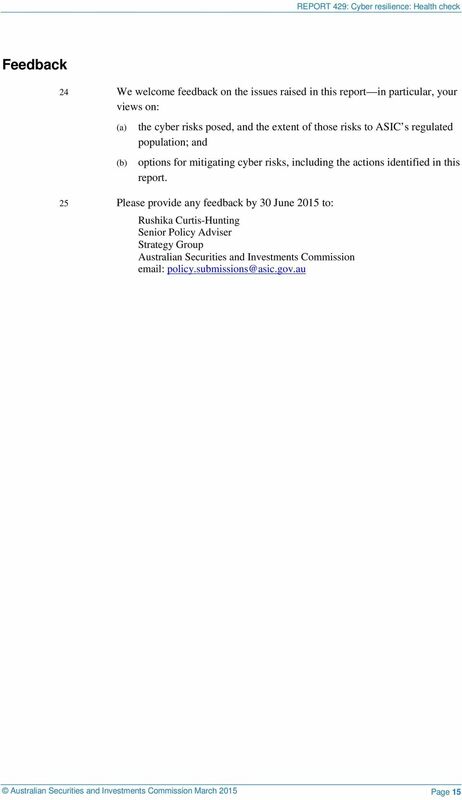 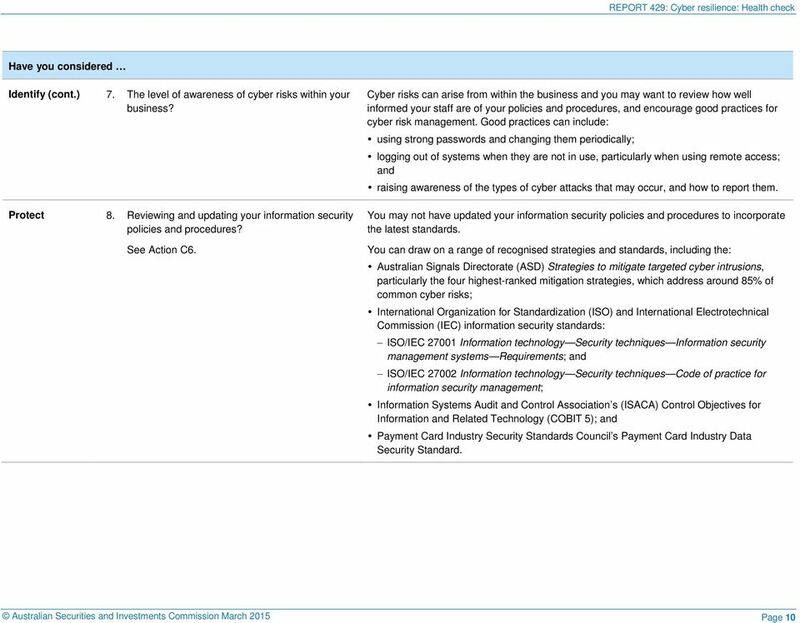 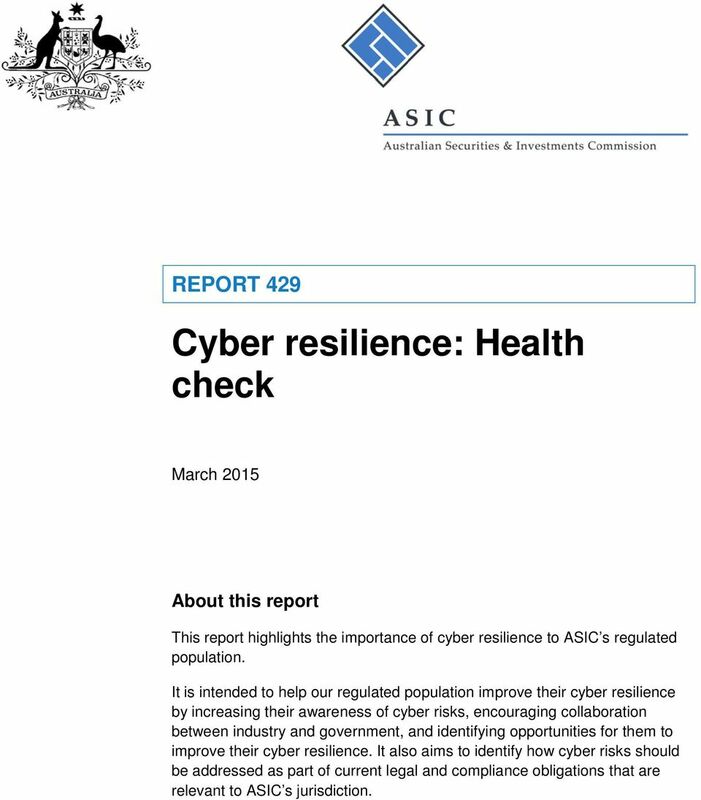 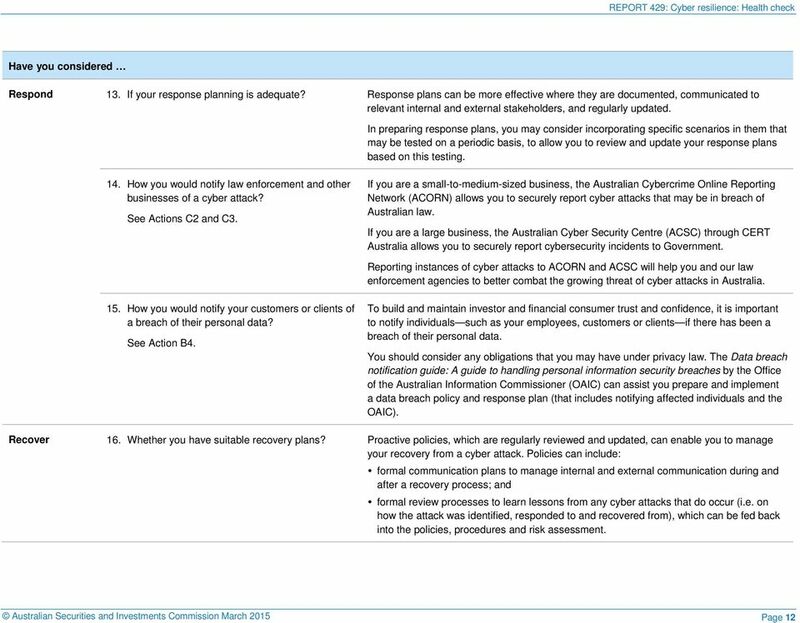 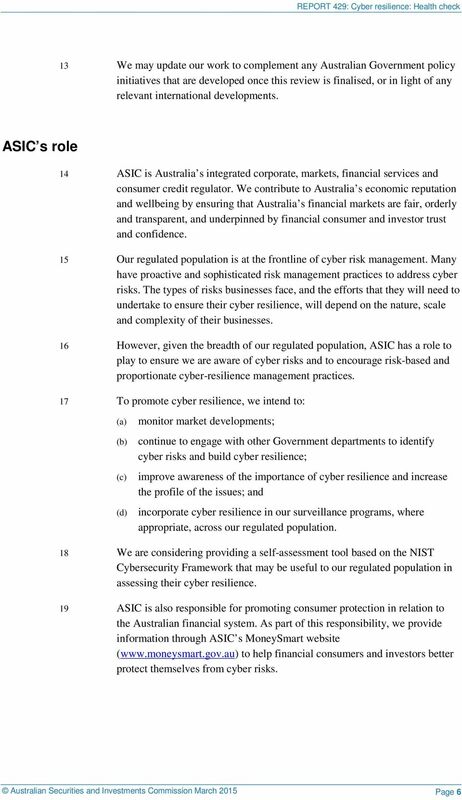 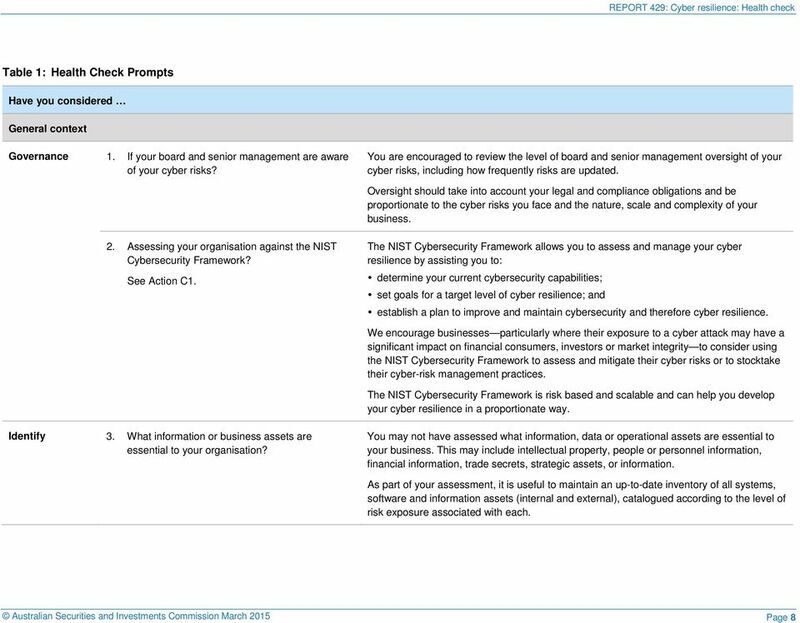 Download "Cyber resilience: Health check"
1 REPORT 429 Cyber resilience: Health check March 2015 About this report This report highlights the importance of cyber resilience to ASIC s regulated population. 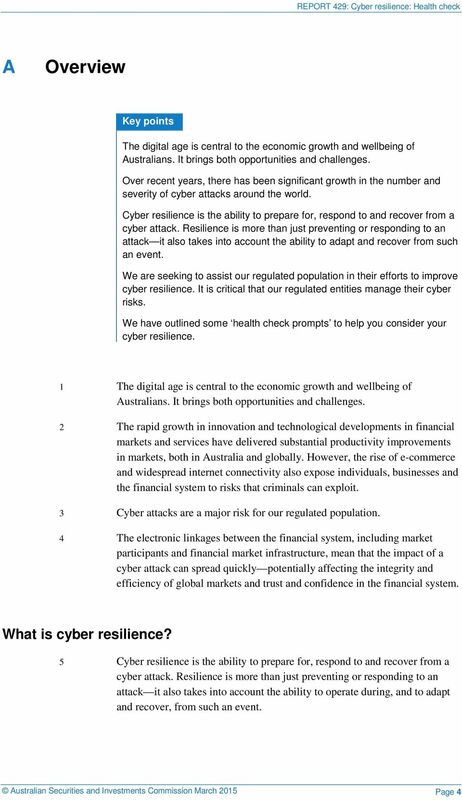 It is intended to help our regulated population improve their cyber resilience by increasing their awareness of cyber risks, encouraging collaboration between industry and government, and identifying opportunities for them to improve their cyber resilience. 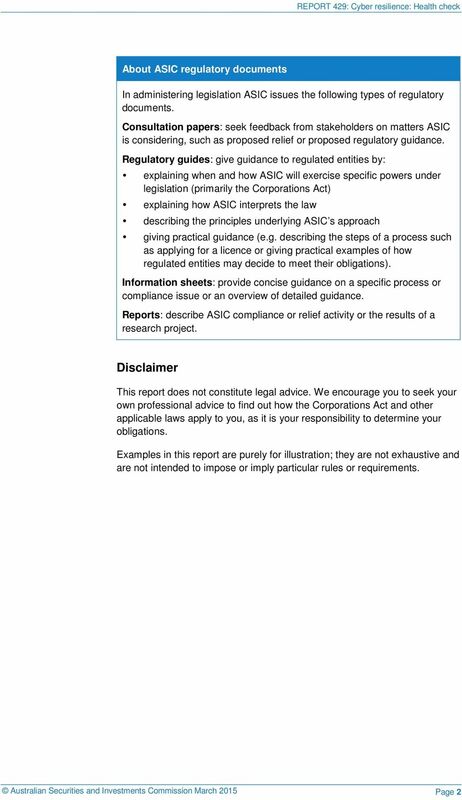 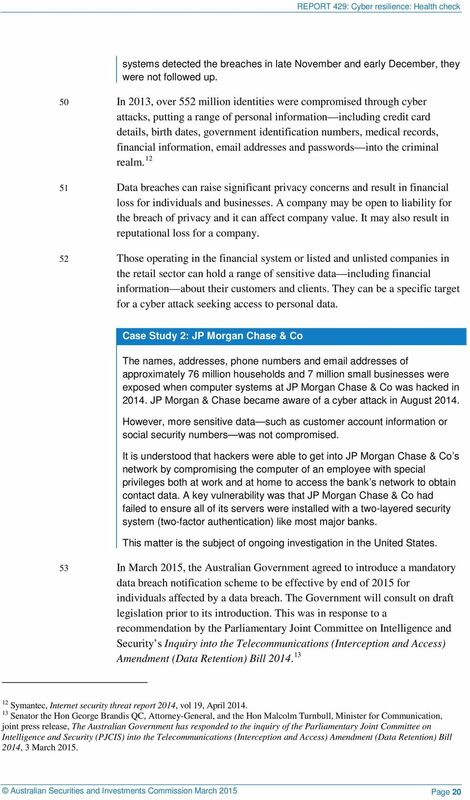 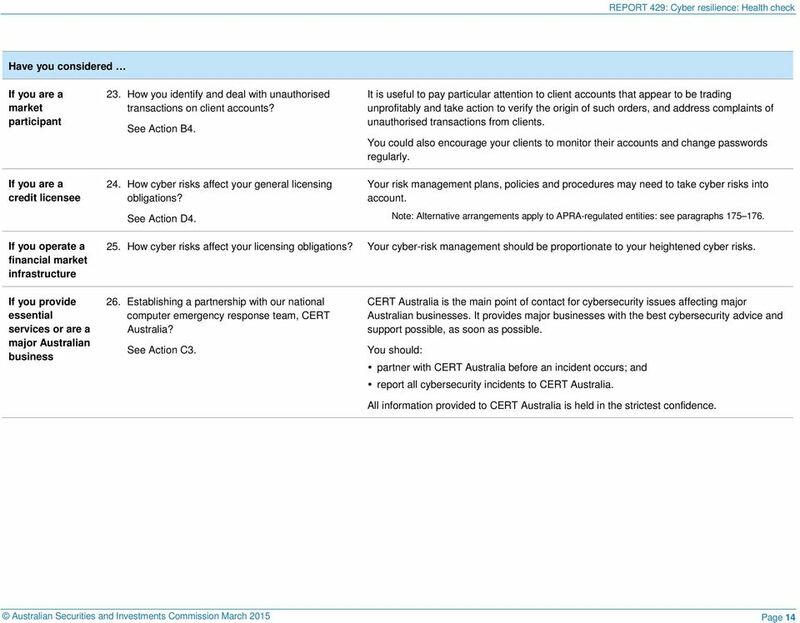 It also aims to identify how cyber risks should be addressed as part of current legal and compliance obligations that are relevant to ASIC s jurisdiction. 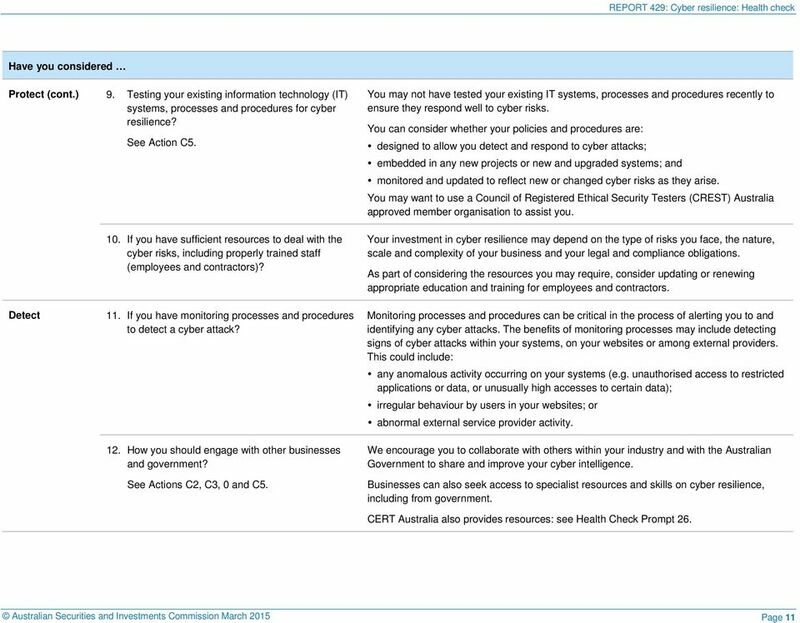 Catalyst Consulting & Events (CCE) takes seriously its commitment to preserve the privacy of the personal information that we collect.